K.T. Frost also formed part of the excavation team at Haraga just before World War 1, in which he died. It is possible he took a handful of objects from Harageh as at least three vessels known to be from Haraga are now in Worcester Museum, donated by the Worcester Girls Grammar school (Now Worcester Sixth Form College) by a Miss D. M. Frost. 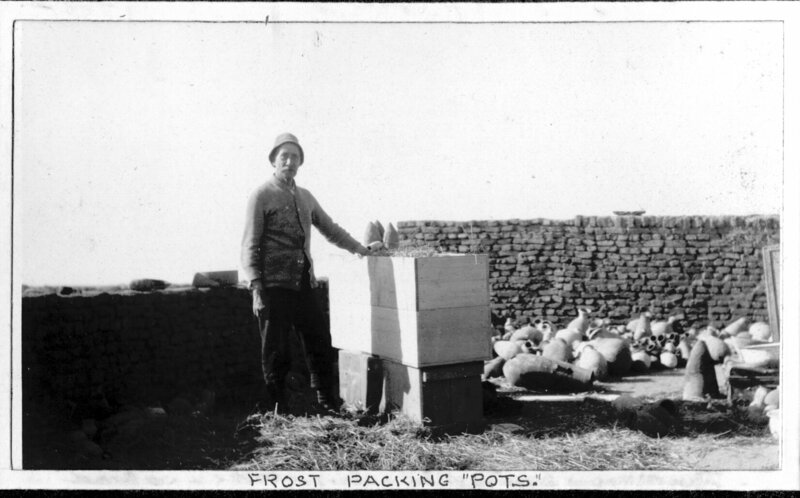 Frost at Harageh 1913-14 from Amsden Album, Petrie Museum archives.